Happy Birthday with the New Distress Inks! For this I chose 3 shades that worked well together in a purple and green scheme. 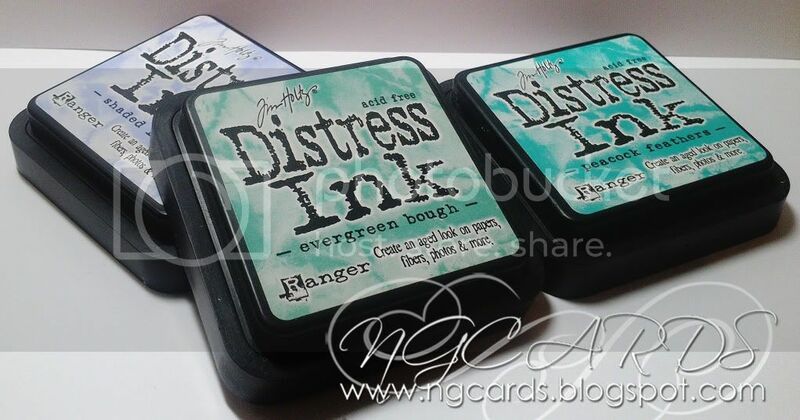 I kept the sentiment simple by using just one Distress Ink but you could use all 3 like I did on the image if you wish! 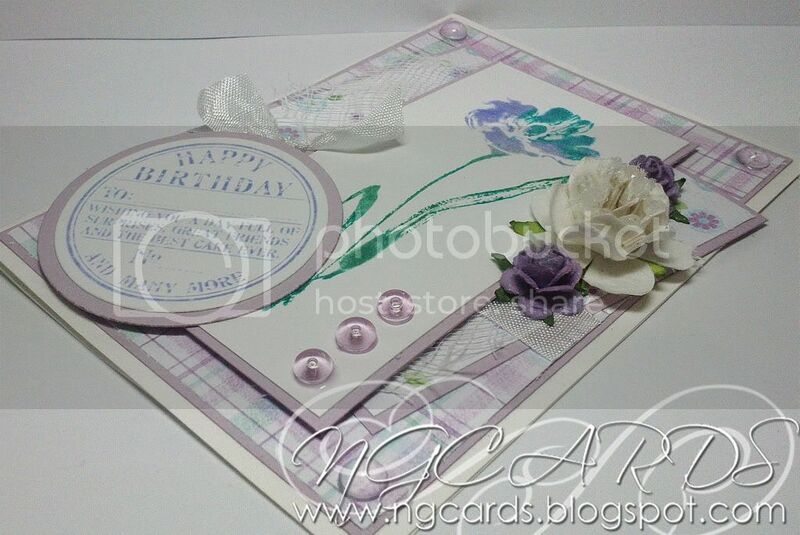 To create the card simply follow the layout of my card using your chosen design papers and card stock. Stamp you image and sentiment onto white card stock and heat dry. Once you have glued down all your layers and added some cheesecloth and ribbon mount your image and sentiment onto coloured card stock and attach to the card with 3D Foam Pads. 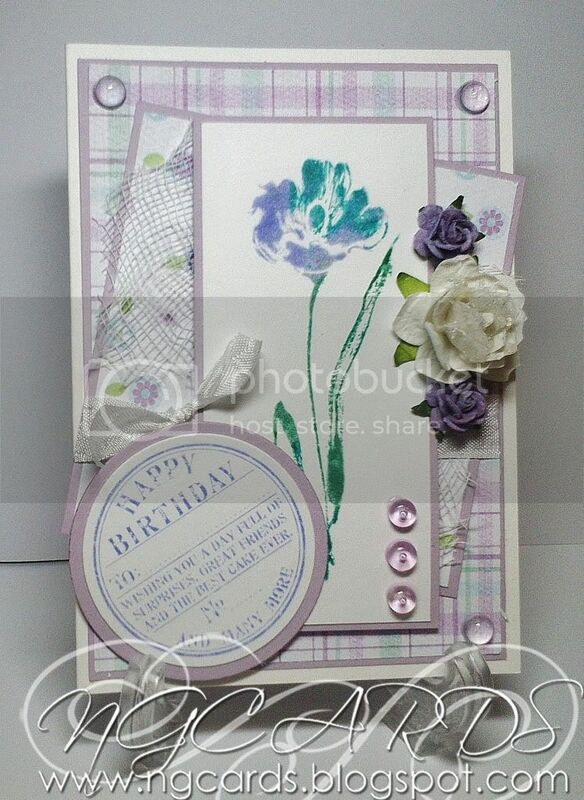 Embellish the card with Flowers, Dew Drops & Glitter. I use Ranger Glossy Accents to glue these down with but PVA Glue for sticking paper and card. Thanks for popping by & enjoy your weekend!